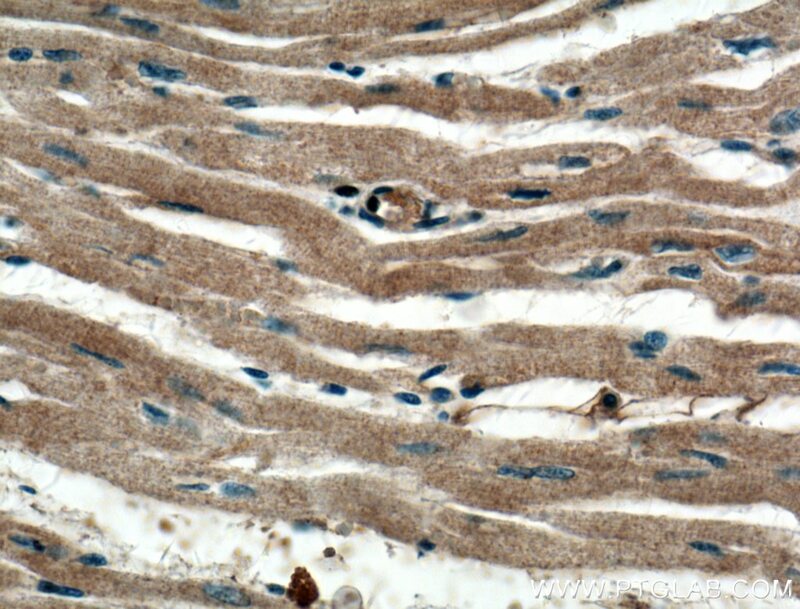 Immunohistochemical analysis of paraffin-embedded human heart tissue slide using 22117-1-AP( MYPT1 antibody) at dilution of 1:200 (under 10x lens). 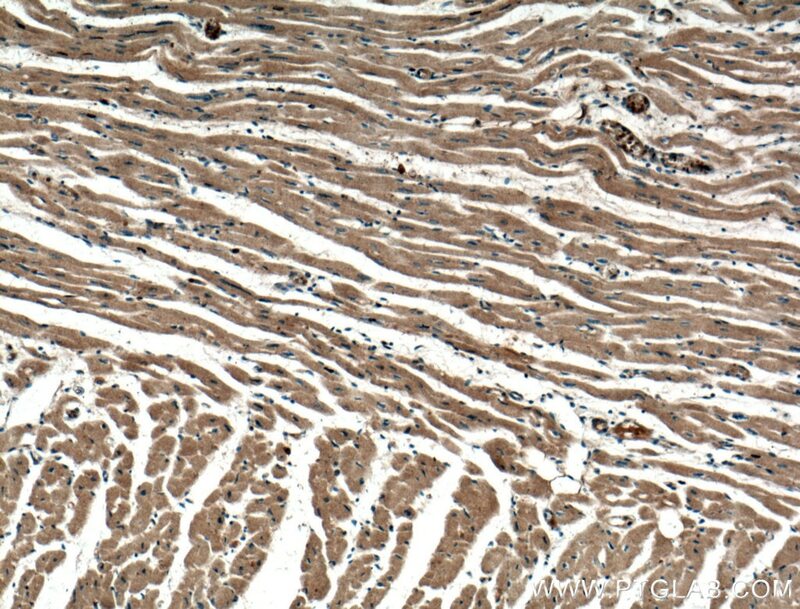 Immunohistochemical analysis of paraffin-embedded human heart tissue slide using 22117-1-AP( MYPT1 antibody) at dilution of 1:200 (under 40x lens). 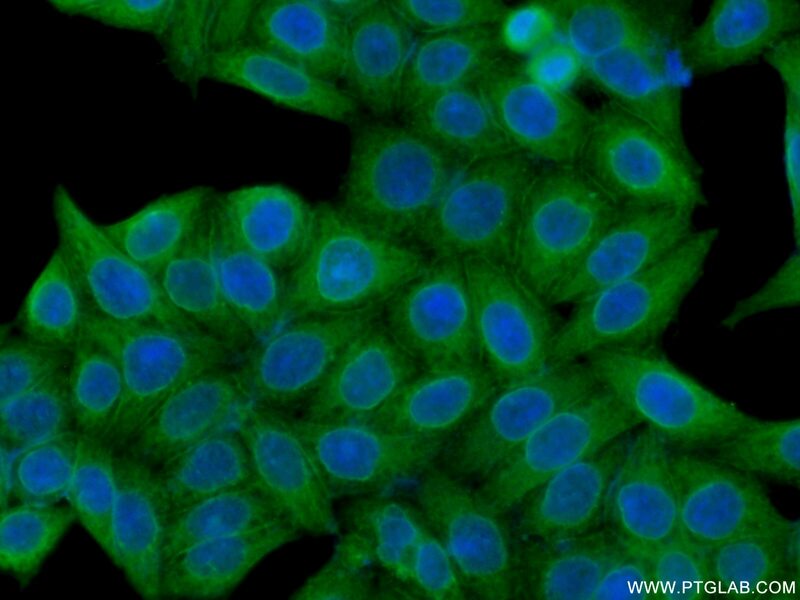 Myosin phosphatase target subunit 1(MYPT1), which is also called PPP1R12A, is one of the subunits of myosin phosphatase. 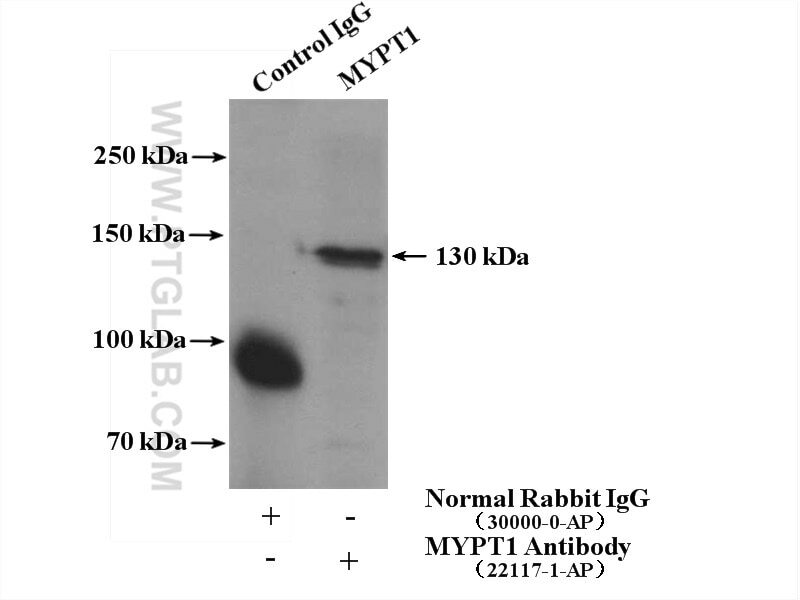 Myosin phosphatase regulates the interaction of actin and myosin downstream of the guanosine triphosphatase Rho. 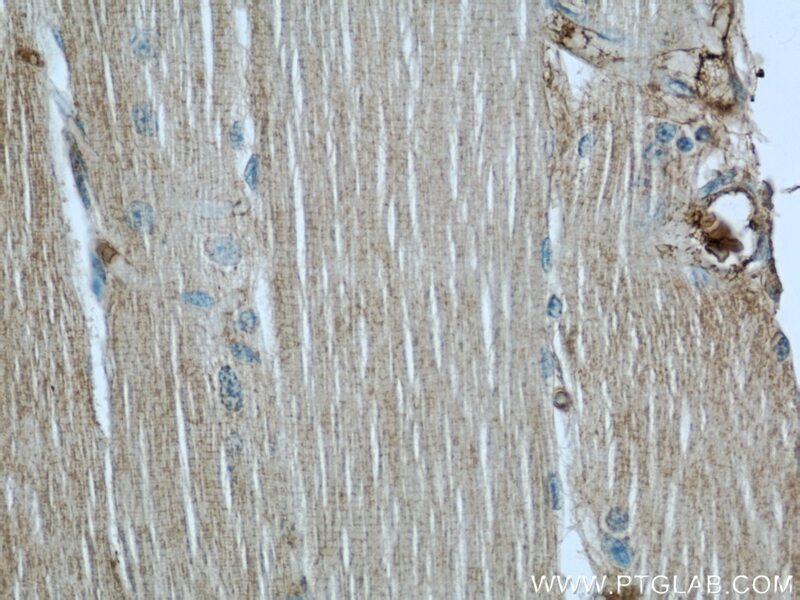 The small guanosine triphosphatase Rho is implicated in myosin light chain (MLC) phosphorylation, which results in contraction of smooth muscle and interaction of actin and myosin in nonmuscle cells. 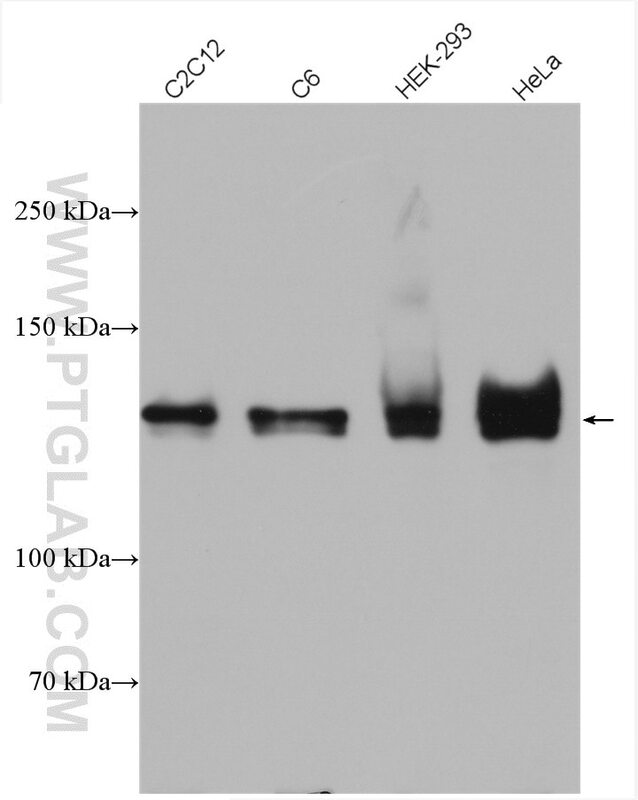 The guanosine triphosphate (GTP)-bound, active form of RhoA (GTP.RhoA) specifically interacted with the myosin-binding subunit (MBS) of myosin phosphatase, which regulates the extent of phosphorylation of MLC. 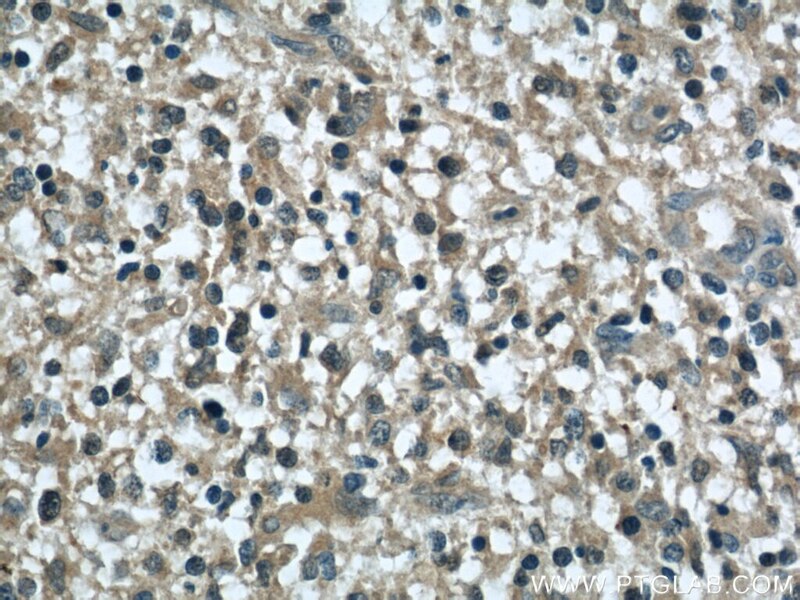 Rho-associated kinase (Rho-kinase), which is activated by GTP. 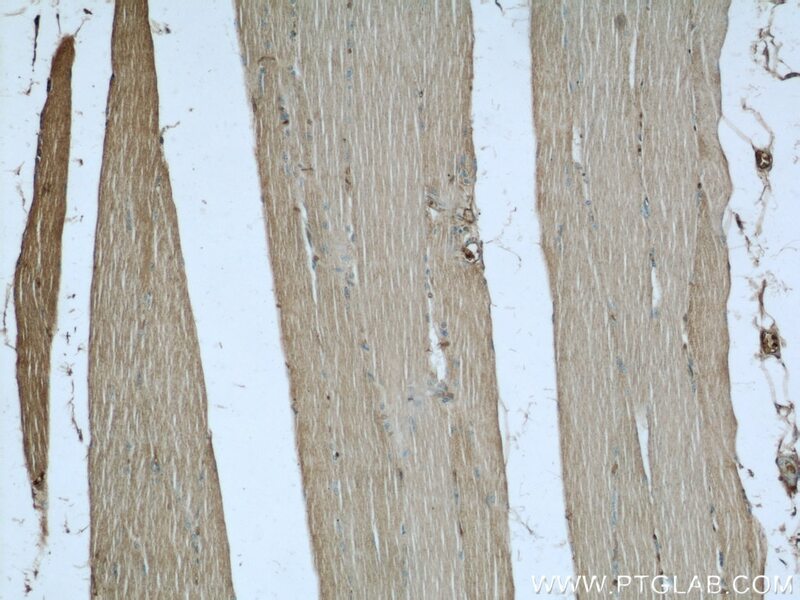 RhoA, phosphorylated MBS and consequently inactivated myosin phosphatase. 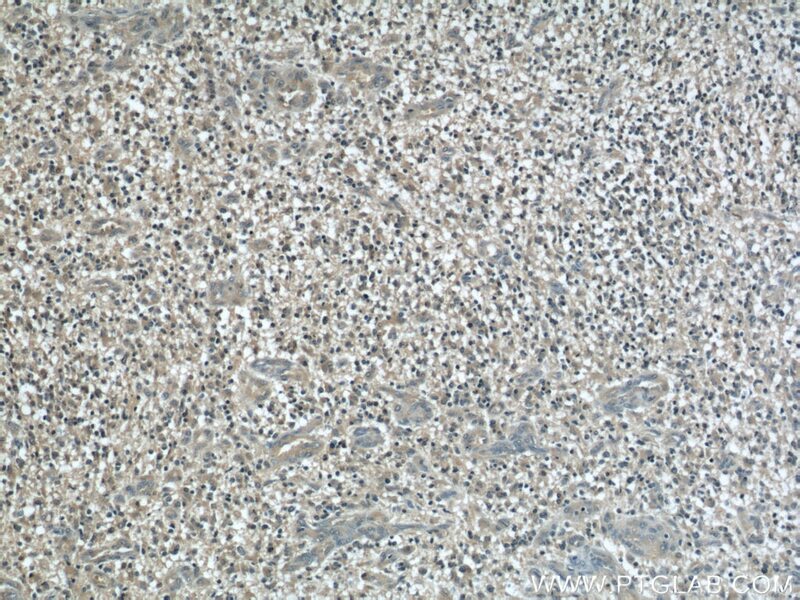 Overexpression of RhoA or activated RhoA in NIH3T3 cells increased phosphorylation of MBS and MLC. Thus, Rho appears to inhibit myosin phosphatase through the action of Rho-kinase. 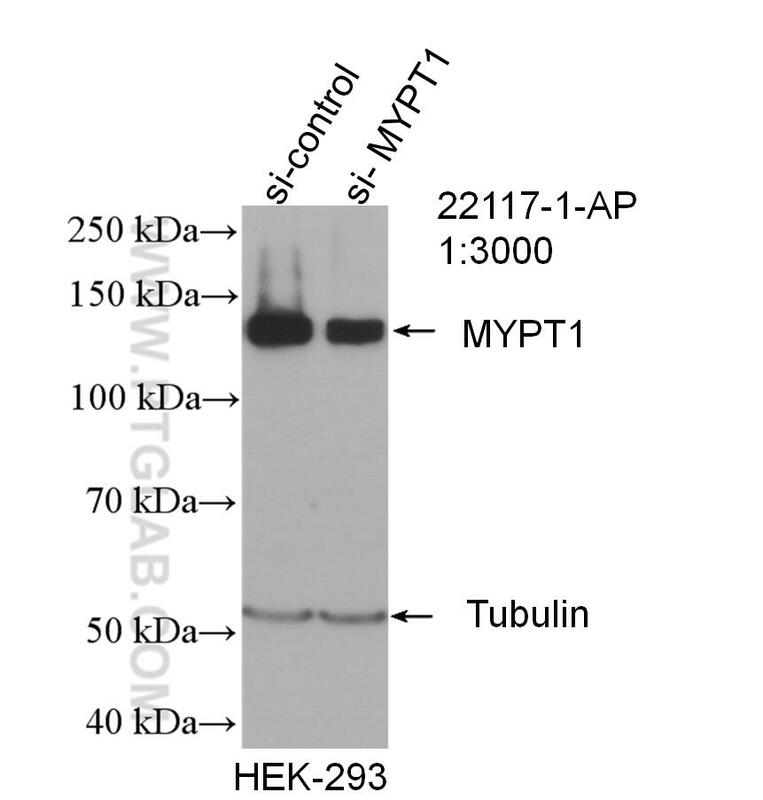 Phosphorylation of MYPT1 at Thr696 and Thr853 results in phosphatase inhibition and cytoskeletal reorganization. Several transcript variants encoding different isoforms have been found for this gene. Madagascine Induces Vasodilatation via Activation of AMPK.